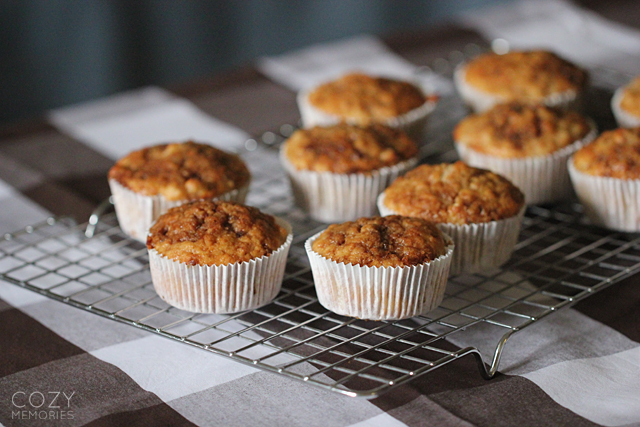 Weather being particularly cozy these days, it inspired me to bake muffins yesterday evening. I thought I'd share the recipe with you, because they turned out delicious. I'm always changing one ingredient or tweaking the recipe, so they never taste the same ! 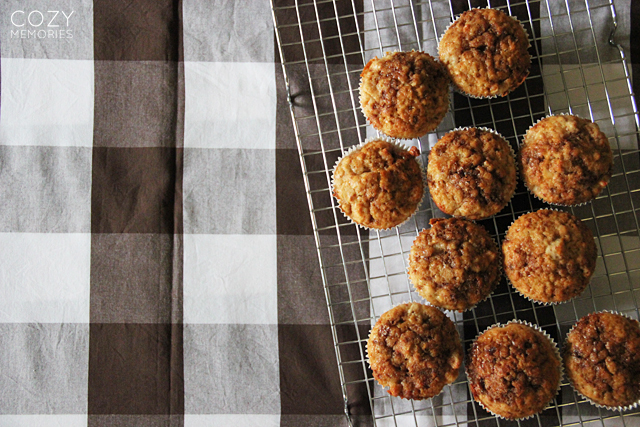 These are the perfect, cozy fall muffins. 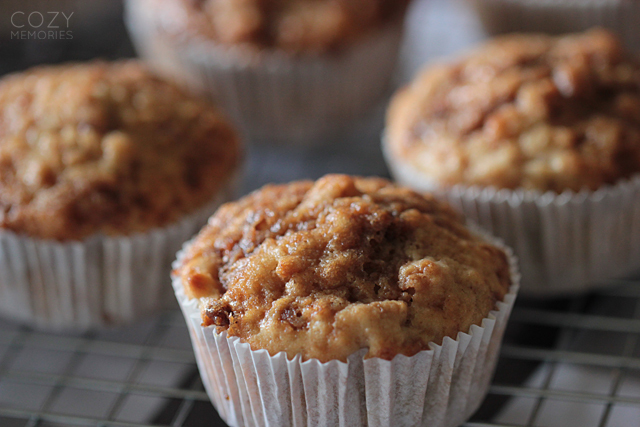 The main ingredients are apples, cinnamon & rolled oats. And the final touch is muscovado sugar. (unrefined brown sugar) The recipe is not gluten free, no sugar free, and not fat free. For this recipe, like for all the recipes I do, I only use organic ingredients. This one is no exception. Preheat oven at 200°C / 400°F. Melt butter. In the milk, beat in the eggs. Add the melted butter & milk + eggs mixture to the dry ingredients, but do NOT stir strongly, make sure flour has been incorporated everywhere, but that's all. That's the one tip for making great muffins. Pour mixture into your greased pan or your paper cups. I personally filled almost to the top. Then sprinkle each muffin with a good dash of muscovado sugar. Put in the oven for 25mn. Once cooled down, I keep them in an airtight container in the fridge, for up to a week. The smell that will spread in your kitchen shall be just heavenly ... the muscovado sugar adds a real cozy & spicy touch to the already perfect apple + cinnamon combo. We all LOVED it. The apples keep them moist (dice them small, really), and rolled oats add a little extra healthy texture. I only got 18 muffins, but I think I would have gotten at least 4 more if I had filled them a little less. I'm starting to seriously think about Christmas gifts myself, and of Advent Calendar Activities too. Only 2 months away from Christmas, and barely more than a month from December 01st, eeeeeeeeek ! If you missed it earlier this week, there was a naturally dyed/tie-dyed scarves shop update. A lovely scarf, or a beautiful zipped pouch can be such beautiful presents ! And I think these buckets can be pretty festive too ! Well, now ... have a wonderful cozy weekend too. It shall be a rainy cozy one here ... no complaining on my part !